I’m going to guess that most people reading this don’t get to travel like it’s a full-time job, likely because they have a full-time job. However, many travel bloggers you can find on the internet do get to travel full-time, or at least most-of-the-time. I am not one of those bloggers. Although I was basically jobless for the three months I backpacked Europe (I made a little from freelance writing, but probably under $100), I have spent the rest of my adulthood scheduling travel around work. If I didn’t work, I couldn’t travel. Now I’m thinking that most of you readers can relate to me better. Most of the best travel blogs out there are written by people who travel like it’s their job, because it IS their job. When they go over how they manage things, it’s a little hard for the rest of us to relate. I’d like to try something on this blog over the next few months that I’ve never seen successfully completed on other “indie” travel blogs. Instead of waiting until I am successful to tell you about my success, we’re going to start with explaining what I’m doing right here, right now. I booked this stay at Sacramento International Hostel through Hostelz.com! I got my newest job just a week ago! I now work for Hostelz.com as a web marketer. I’ve written hostel reviews and location descriptions for this site for years now, so it’s nice to finally work for them for more substantial pay. The biggest advantage of this job is that while the company is based in Texas, I’ve never been to Texas and won’t have to go there for any work reasons. I can work from anywhere that I can connect to the internet. Another advantage is that part of this job involves visiting travel blogs that I may have not noticed before, so I’m getting some new travel information. Of course, there are downsides, but they’re pretty typical of location-independent work. One thing I’m not sure is an advantage or disadvantage is that I only get paid for completing something. The downside is that, unlike most jobs, I don’t get paid to take breaks. The upside is I have more control over how much I make. 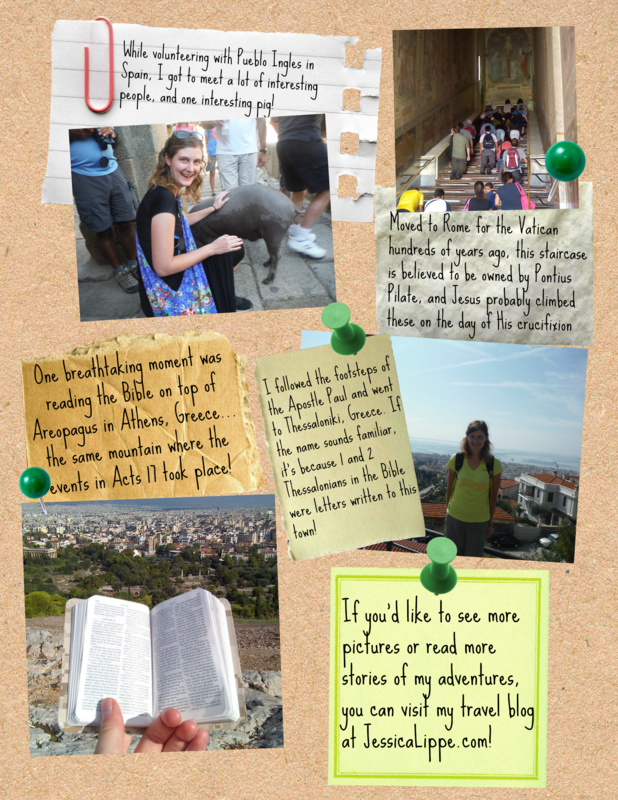 While travel blogging doesn’t earn much, the perks are nice, like getting to review this Ellie Claire journal on my Mediterranean Trek! You may have also noticed that I recently posted my first sponsored post. FatJoe contacted me a few months ago asking if this blog would be willing to host sponsored posts. My initial reaction was worrying that I would end up trapped posting subpar content advertising things I didn’t care about. But when I found out that I had control over what I could accept and that they would only submit things to me when they knew they were relevant for this site, I became more willing. Having only received one post from them over the past few months proves that they know their clients well, but resulted in only a few dollars coming my way. It’s been somewhat profitable to guest post for other travel blogs. I recently was published for my third time on Travel Fashion Girl. I try not to write for free on blogs unless I can tell it will greatly help with networking. I think TravelingMom has potential for this. 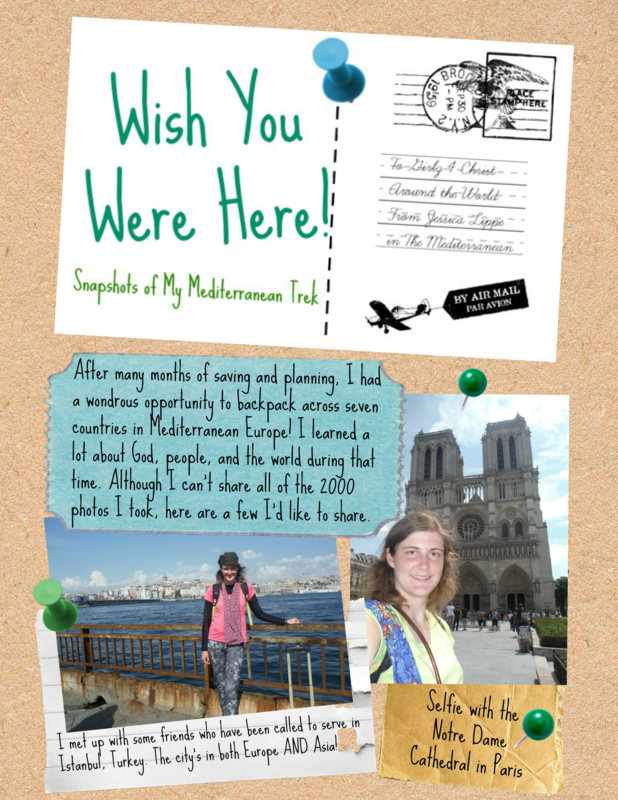 I’ve also joined a few travel writing networks such as The Aspiring Travel Writer, which has helped a lot with motivation. While travel blogging hasn’t done much in terms of finances, it has always been nice to have sponsors! I’ll get to West Monroe, Louisiana eventually. But getting to interview Duck Dynasty stars may be the next best thing. Who said the digital nomadic life had to be entirely travel-based? While I do write a lot online about travel, much of my writing is about different topics. Some of the recent work I sold will be used in Devozine and Young Salvationist. Sometimes you can even find faraway lands locally. How about this Japanese garden in Lithia Park? All of the above is nice, but I’m not ready to leave local work yet. I did, however, leave the job that took up most of my time a week ago. I’m still doing childcare and working at the Magdalene Home. Right now, I’m not willing to give up local work because of its many intangible benefits! It keeps me better connected and involved in the community. My hours are flexible enough that I can still travel. And of course, it’s nice to have a semi-regular source of income. My backpack and I are always prepped for any adventures offered! When I moved back to Oregon and started planning my European trip, I thought travel work would go right in hand with actual travel. Not so! Although I haven’t read any other travel bloggers admitting it, I think the secret to location-independent work is to make sure it works at one location before throwing travel into the mix. So I haven’t done much travel lately, except for local day trips. I do want to make sure that my above location-independent jobs (especially Hostelz.com) are a viable source of income and keep my interest over the long term. Since my disposable income isn’t much right now (mostly because I bought a car), I’m having extra fun researching ways to travel for even less, or maybe free! But just in the past 24 hours, I’ve already started planning two different trips that I can take thanks to this kind of life! As I continue transitioning to a more travel-oriented life, what details would you like to learn? What do I think is the biggest barrier to worldwide travel? Languages. Ugh! Sometimes I just have to throw my head back and ask God if He could have possibly done anything different to take care of the Tower of Babel issue without spurring all these different languages. I mean, really. If everyone in the entire world spoke the same language, wouldn’t you be much more comfortable traveling in foreign countries? Of course, language is one of the cultural differences that helps make each location unique, but there certainly is an advantage to knowing the native language! And a big problem with Europe is that, with each different country I hope to go to, I’ll be exposed to a completely different language. Using Rosetta Stone was a good primer for Spanish vocabulary, and I do appreciate that it uses pictures to help you identify rather than English words. (It’s almost, but not quite, like immersion.) This program was my only real Spanish study experience before my first trip to Mexico. It turned out that everyone in the tourist ports I visited would speak in English, but I was able to decipher many of the signs. Still, I don’t think I would be able to hold a conversation at all! 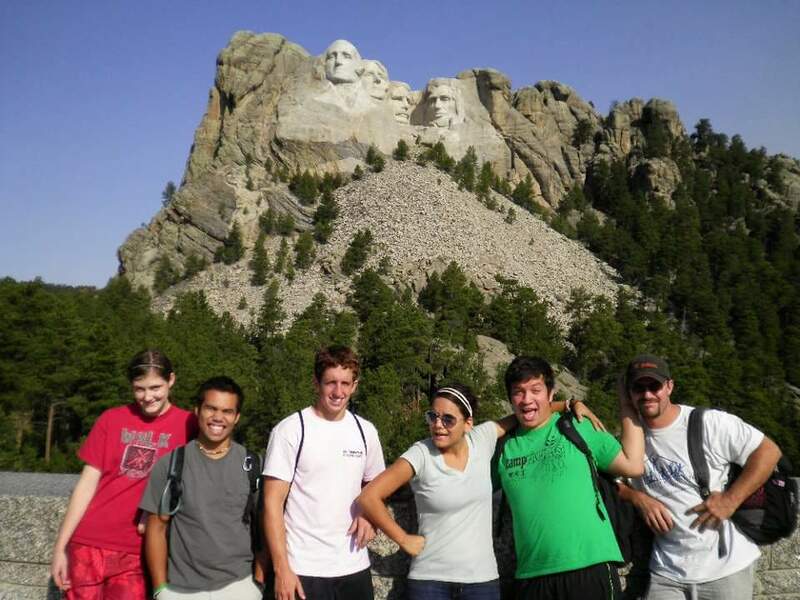 Diverbo is a Spain-based one-week language learning program… for learning English, that is! Spaniards who are book-smart in their English studies, but may not be comfortable in English conversation, come to this retreat where no Spanish speaking is allowed. So how do they improve at their conversation skills? Diverbo gets volunteers from English-speaking countries to spend a free week at a Spanish resort in exchange for talking, talking, and talking. I have been accepted to be on the waiting list for an upcoming program. I really do hope I get selected. Besides, it’s been so long since I last took a Spanish class, I won’t be tempted to utter a word of it. Let’s just hope I retained enough to survive in the city! If Spanish and English were the only languages spoken in Europe, I would have packed my bags and headed out long ago. But, oddly enough, none of the countries I’m going to are primarily English, and Spain is the only one with primarily Spanish. If I really wanted to converse like a local, I would have to also learn French, Italian, Greek, Turkish, and perhaps a couple more languages. So how to deal with that? I recently started taking lessons from Duolingo. At first, I thought it would be most beneficial to learn French. But after a few lessons, I got frustrated with the way words are pronounced and figured that Paris is close enough to England that all I would need was a convincing British accent. So, just while taking a break from French, I started the Italian course. Wow, I grabbed a hold of that language MUCH easier! And while I can’t figure out how to drop French from my Duolingo languages, I don’t have to worry about giving up that commitment. Duolingo is completely FREE and you can choose from many different learning languages including Portuguese, German, and, coming soon, Klingon! Lessons can be completed on a computer or with the phone app. And I’m not sure about other brands of smartphones, but with the Android app, you don’t even have to be online to work on lessons! There are some downsides to Duolingo, though. A biggie is that, unlike Rosetta Stone, it does not try to simulate immersion and heavily relies on translation. I also downloaded the Rosetta Stone app, and while I haven’t really used it since it works slower than Duolingo, I probably should compare the two to see which one will teach me better Italian. Overall, I think Italian will be the best third language for me in Europe since I will spend more time in Italy than any other country, and it will probably be useful in Italy’s surrounding nations as well. One problem is that it has a lot of similarities to Spanish, and I’m already getting them mixed up in my mind! However, with all this language learning, I have yet to set foot anywhere close to Europe. From what I understand, most Europeans learn English in school as it is the language of business, so maybe I could get by with just that. Or maybe hand gestures and miming would suffice. But I don’t know. What do I need to know about surviving the language barrier in Europe? Note: None of the programs mentioned in this post are affiliates or sponsors. I just wanted to voice my opinions about the studies I’ve experienced and I’m interested in hearing about the experiences of others! 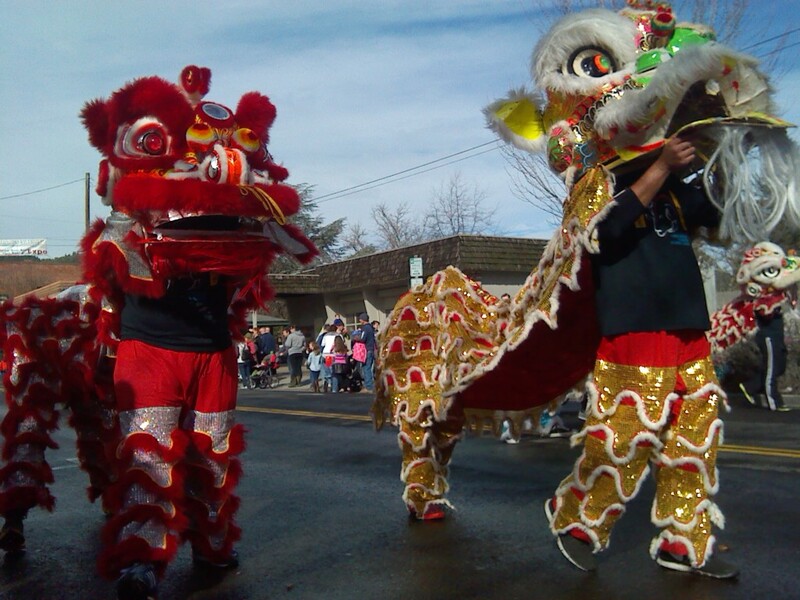 Chinese New Year is officially on February 19th this year, but the city of Jacksonville, Oregon decided to celebrate it a couple weeks early. 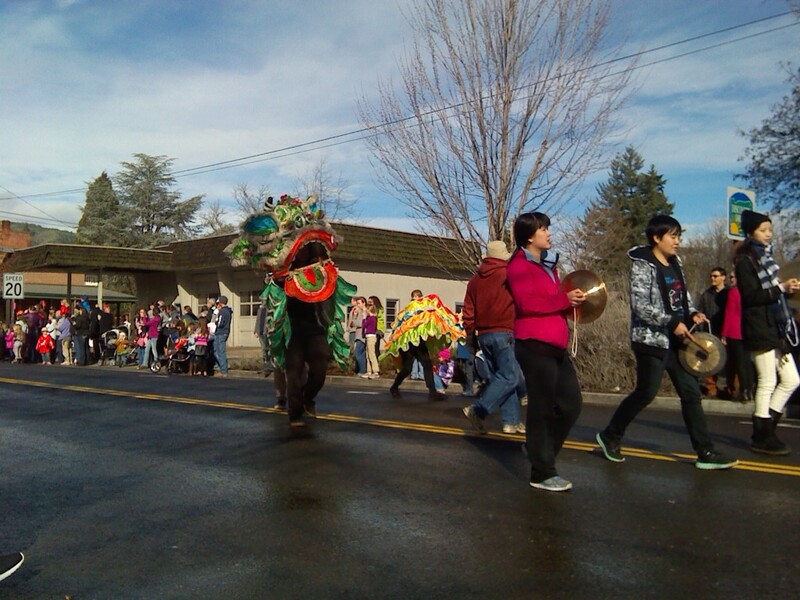 Each year, the historic town honors the Chinese workers who contributed so much during the formation of the town during the gold rush by celebrating all the culture and festivities that go along with Chinese New Year. 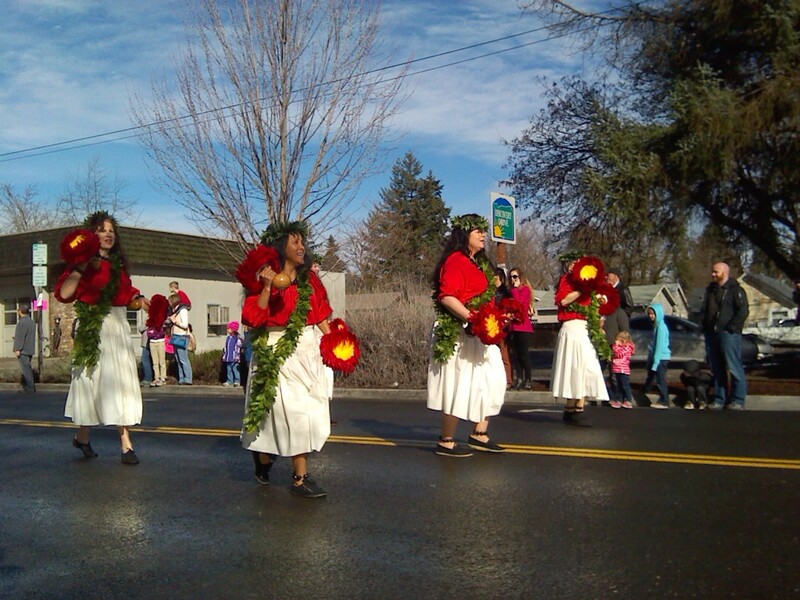 Several years ago, I managed to get a day off of work to attend the festivities with my sister. 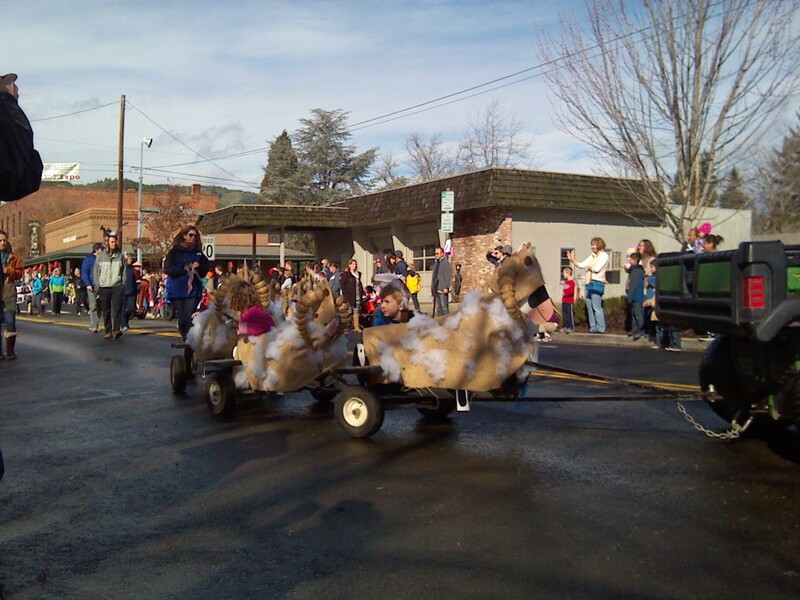 I hadn’t been able to do it any other year that I lived in Oregon, but it sure was fun! I wanted to make a point of attending this year, but it just so happened that I was scheduled to work. Fortunately, my job for the day was my childcare job. 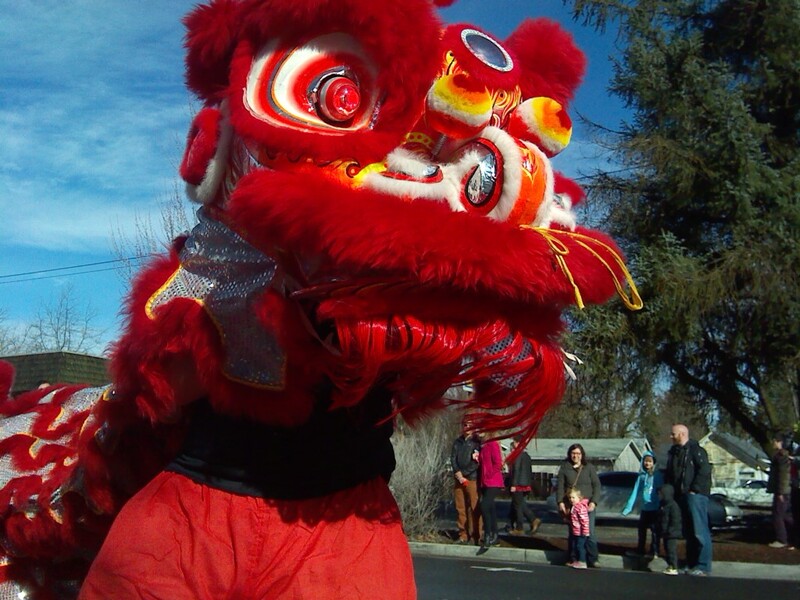 After asking the mom, we both thought the kids would benefit from a fun day at the Chinese New Year festivities. As an added bonus, it saved a bunch of money by learning about Chinese culture just a few miles away instead of heading on a trip to China! 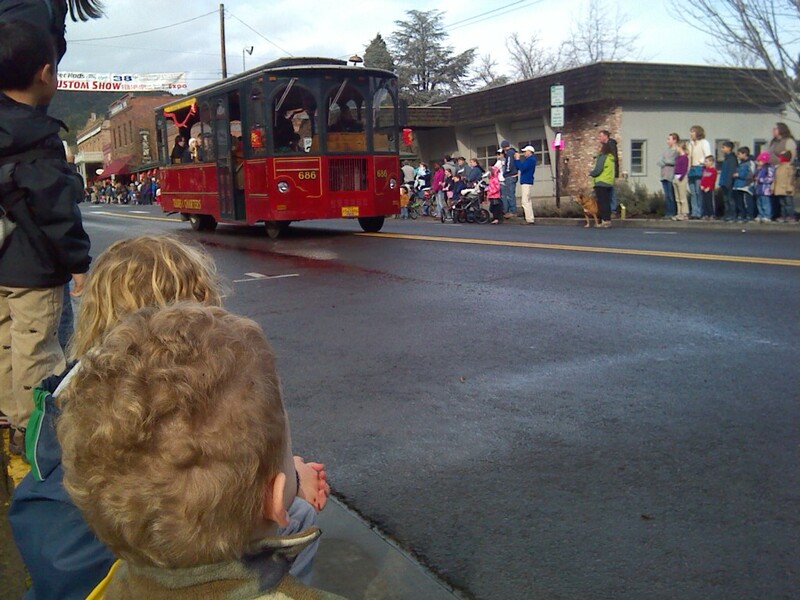 The main attraction is the parade. 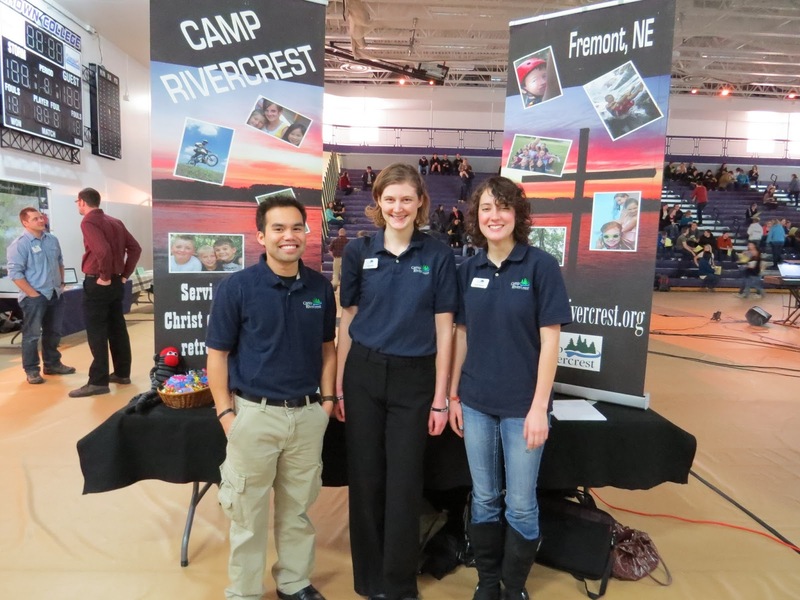 Tons of local businesses and organizations get involved. Since it was hard to find a parking space at one of Jacksonville’s most populated days of the year, we had to walk a ways to get to the main street where the parade was taking place. 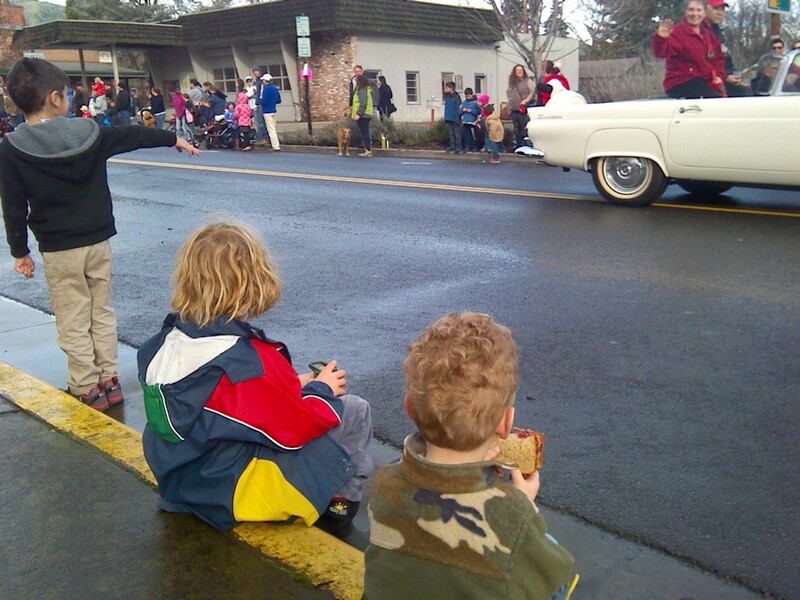 We found a nice empty space of curb near the end of the route just as the parade was beginning. 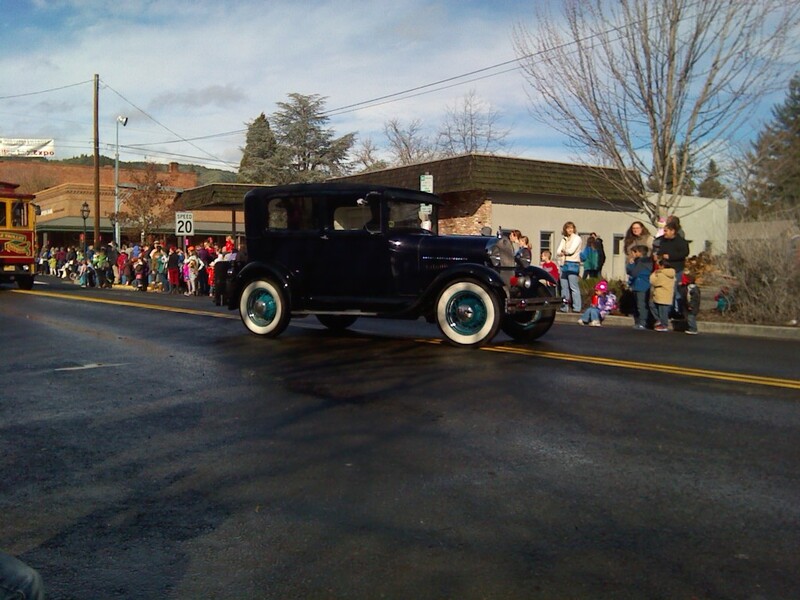 It started off with some cool classic cars. 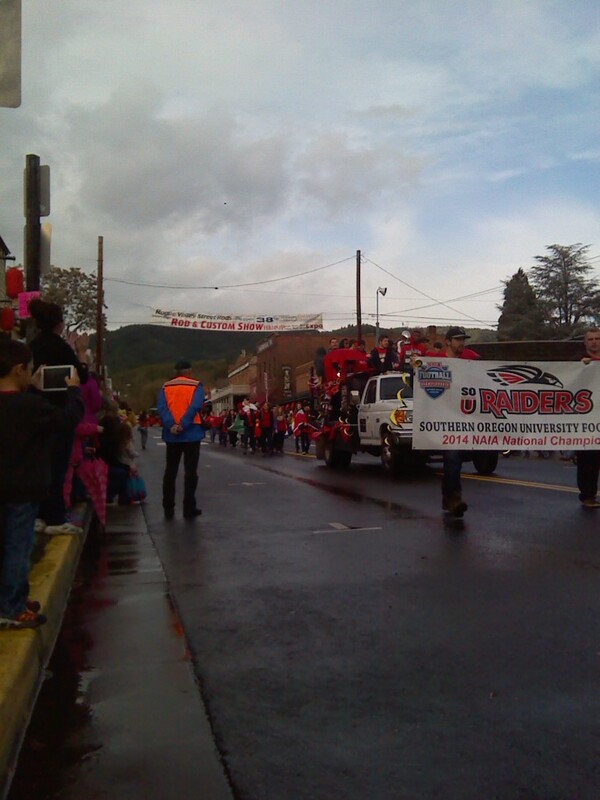 The Southern Oregon University Raiders used this opportunity to promote some of their programs, like foreign exchange. And then there’s one of the Jacksonville trolleys. I took a tour of Jacksonville in this trolley several years ago, and it sure is fun! During the parade, the seats were filled with orchestra members. That sure beats playing in a marching band! 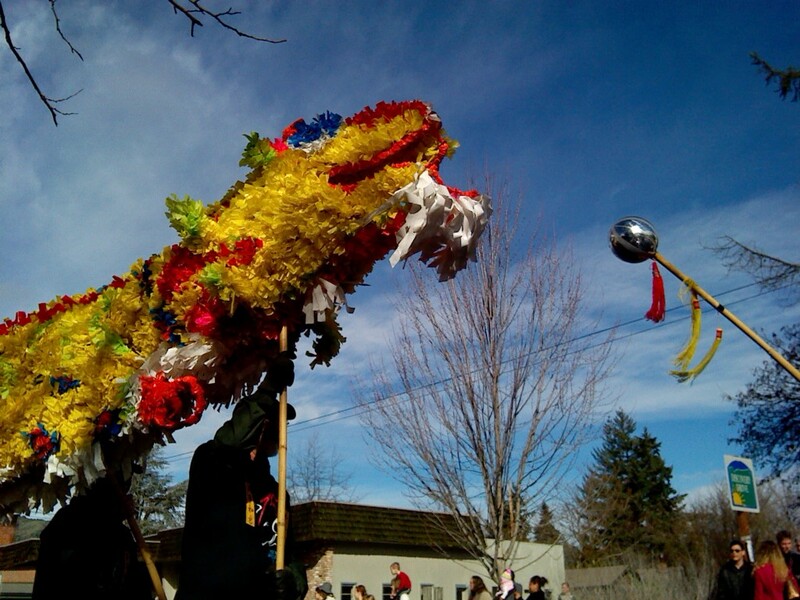 Being a parade to mainly celebrate Chinese culture, there were several of the traditional dragons. Some of the dragon cast members had fun getting up in kids’ faces and pretending to bite at them! And there were a few costumed characters. The dragon one was more elaborate, but nothing beats the adorableness of a panda! 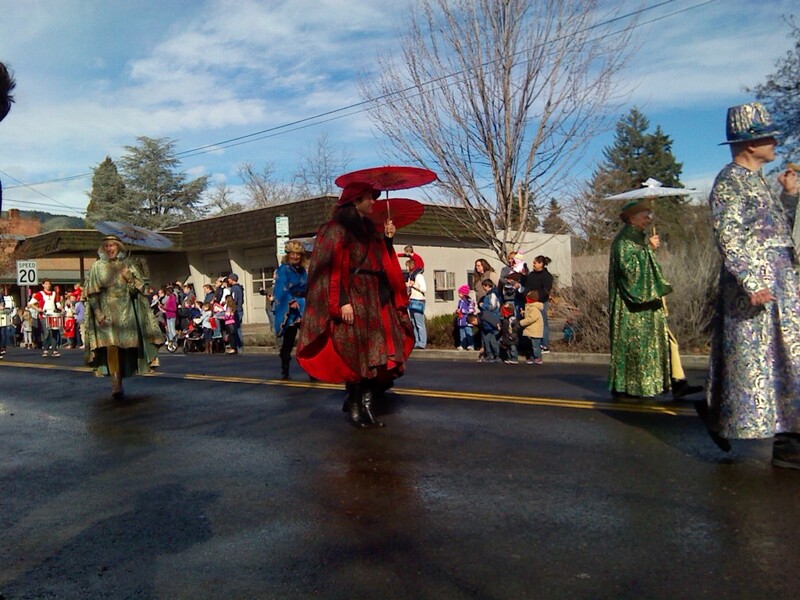 Although this is more British than Chinese, these were performers from the Oregon Shakespeare Festival, so I guess it sort of made sense. Several school groups got involved too, such as the school one of “my” kids attend. 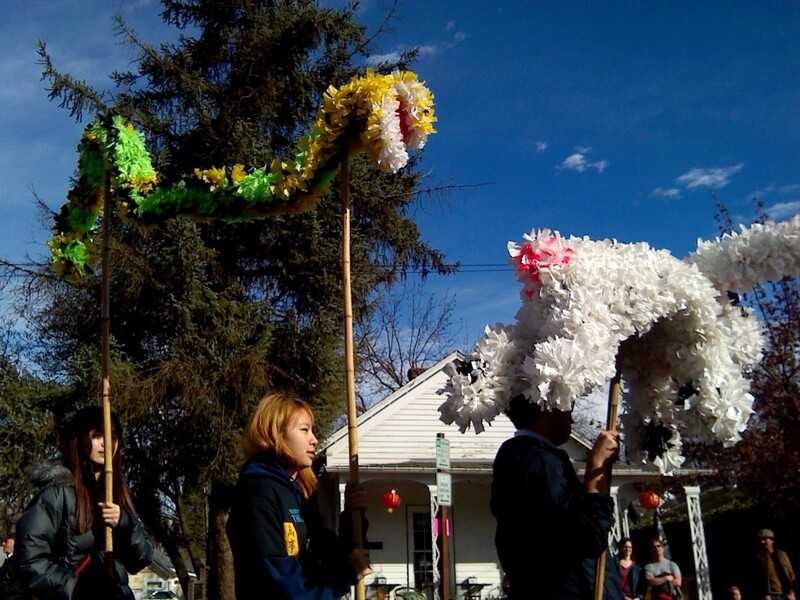 Another school made their own Chinese dragon costumes. 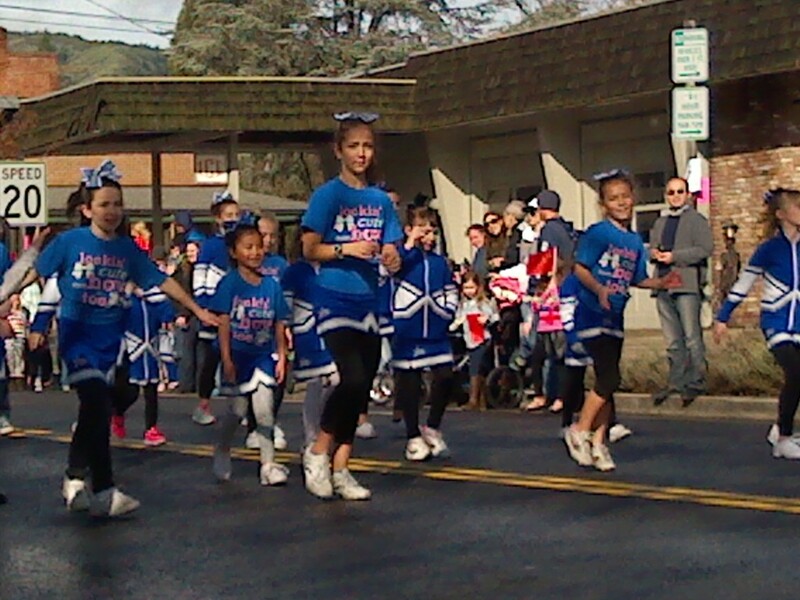 And how can you resist the cuteness of a young girls’ cheer team? They did “Go Rams” cheers, since this upcoming Chinese New Year is the Year of the Ram. 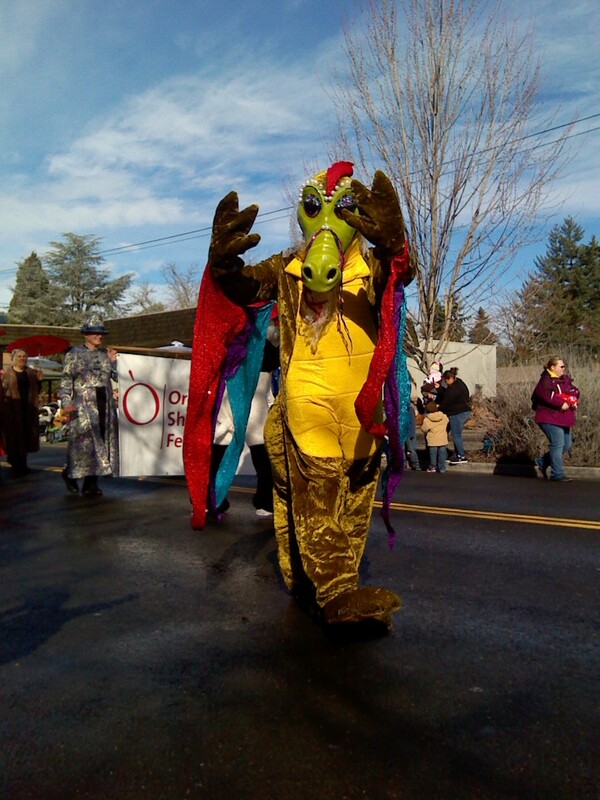 There were quite a few dragons considering that it wasn’t even the Year of the Dragon. This could be a scary parade for some children! 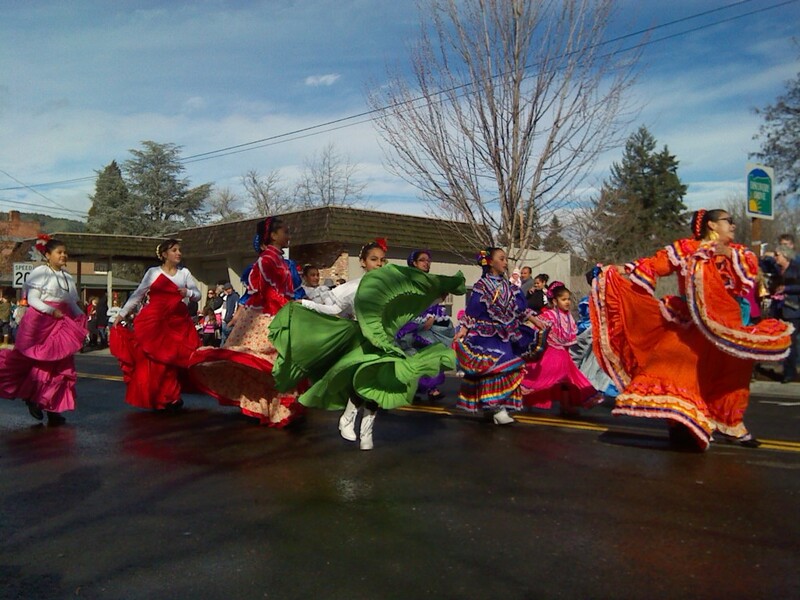 One group paraded all the animal years, starting with this year’s Year of the Ram. Although I was born in the Year of the Ram (so does that make this year some sort of special anniversary for me? ), I think I would prefer to be Year of the Bunny! And some old fashioned cars. I think the drivers had fun breaking all the rules of the road as the zigzagged the entire width of the street! And bagpipers. 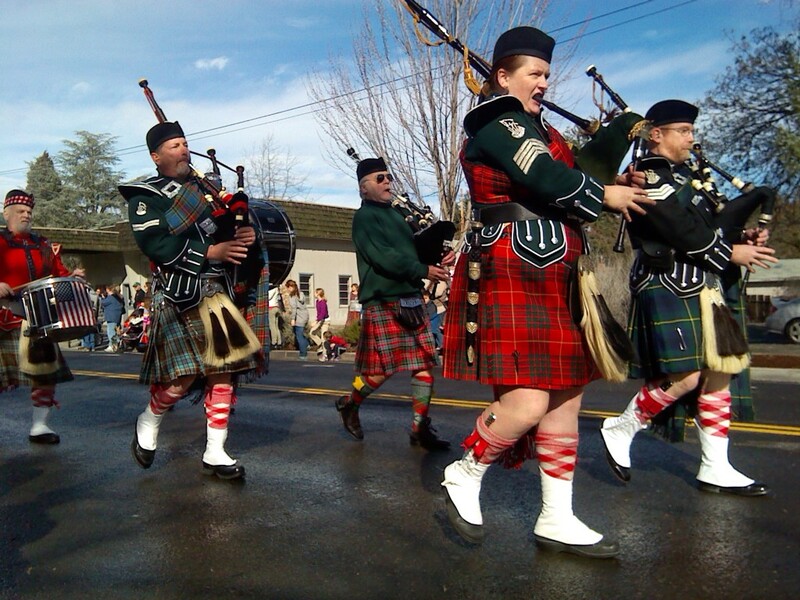 Bagpipers are pretty nifty, even though that’s really more Irish than Chinese. 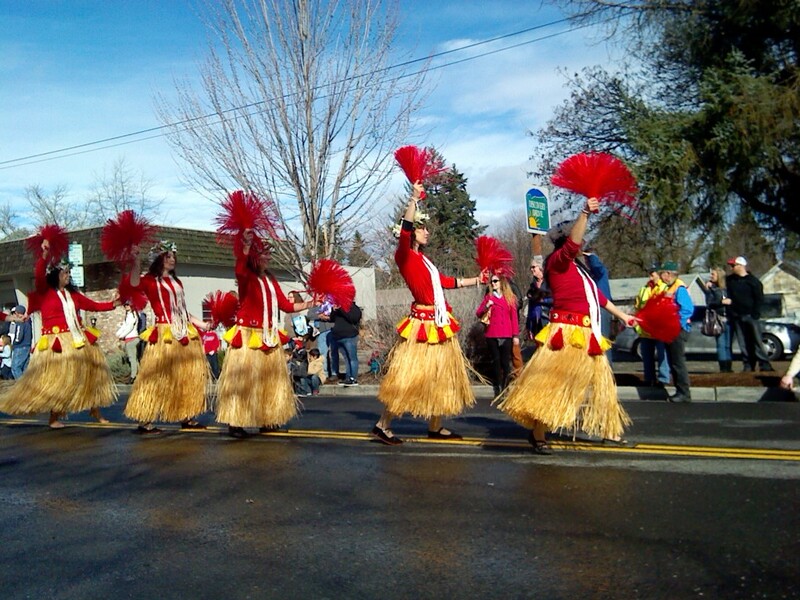 …And hula dancing originated from a different land as well! This picture didn’t turn out so great since this tractor was going fairly fast, but this daycare turned a cute little tractor ride into cute little rams! A historic-futuristic mashup tourist attraction in Jacksonville is their Segway tours. 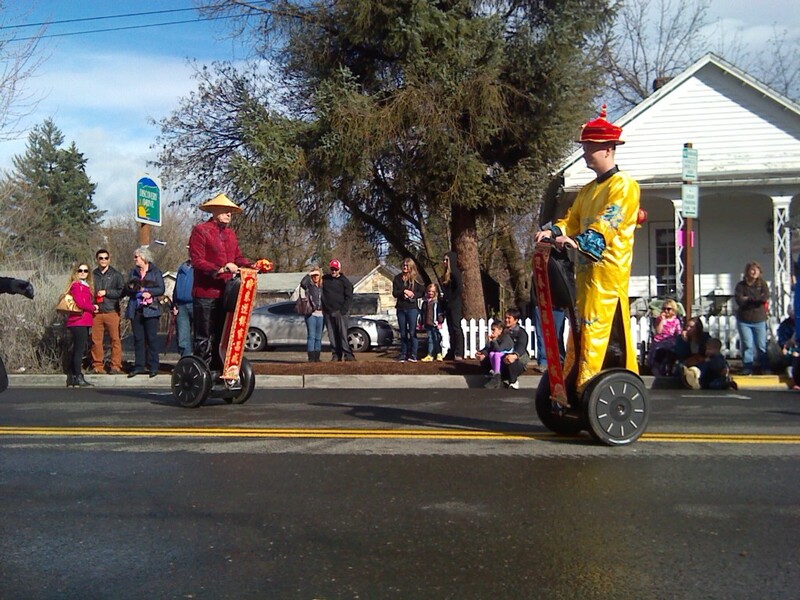 Oh, how I want to try out a Segway! 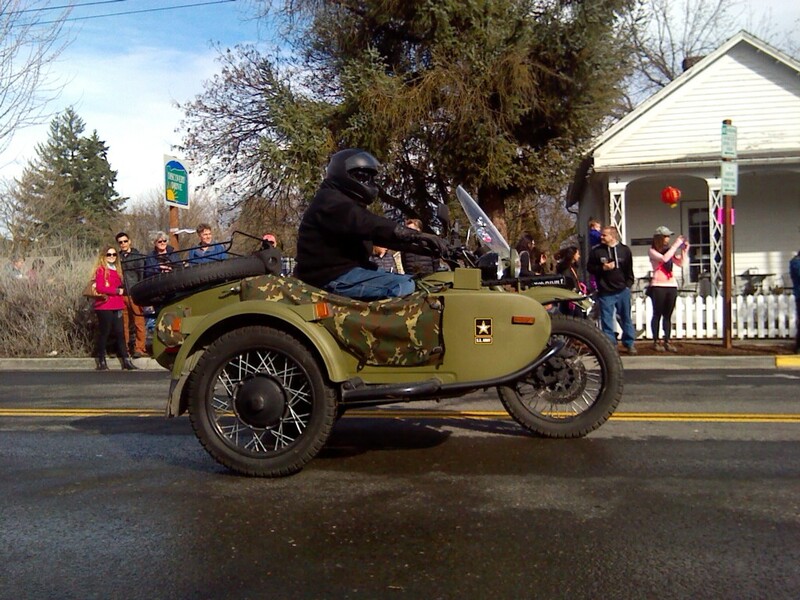 The parade ended with a decked-out motorcycle! 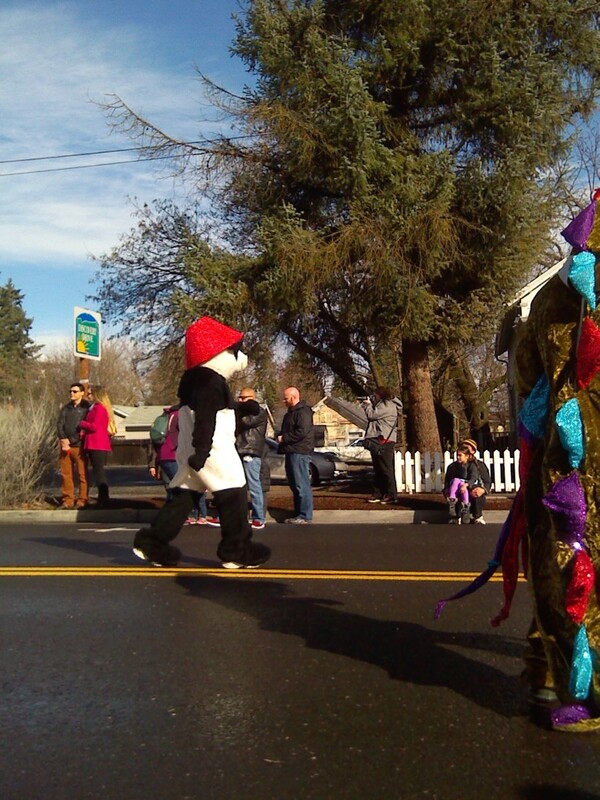 When the parade ended, the festivities were nowhere near complete. 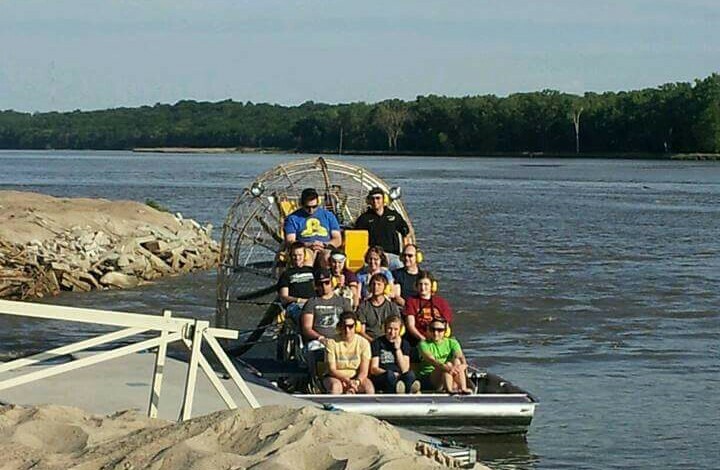 Special activities all over town were taking place. One advantage of Jacksonville is that nearly everything is within walking distance, even if you have a couple of tykes tagging along! If I had gone by myself or with someone closer to my age, I probably would have enjoyed the artifact exhibitions and the martial arts self-defense class. Since I was with kids, we ended up jumping in a bounce house (well, I didn’t, although it did look like fun! ), making crafts, playing games, and learning origami. Although we only went to the activities marked specifically for children, I even had a bit of fun with the challenge to try to transfer marbles in a bowl to another bowl using only chopsticks! After several hours, we had to leave the festivities, but the events in my day weren’t over yet! After bringing the kids back to their house, I headed over to my own home to get ready for my next event of the day. But I’ll wait until tomorrow to share that experience!